An ordinary car or a limousine? It’s time for you to upgrade your travel. We offer a great limousine rental service in the latest styles of vehicles in Harbor City at highly reasonable prices. Choose your favorite limo model from our sophisticated and stylish fleet of limos in Harbor City and book it for your special occasion. 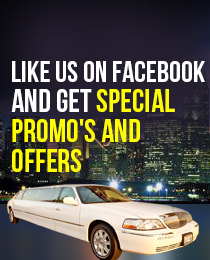 We at ULC Harbor City limousine rental service cater to every customer’s requirement. The more details you provide, such as type of occasion, number of people, distance of travel, number of passengers, and any special requests, the better we can help you in choosing a limousine for your Harbor City outing. Our limo rental service in Harbor City provides transportation for school proms, corporate travel, sightseeing tours, nights out, dance shows, concerts, stage shows, event transportation, airport transportation, weddings, anniversaries, bachelor and bachelorette parties, or any other special occasion or event for individuals or groups. Every limo in Harbor City is professionally managed to ensure the prompt and efficient transportation for our customers. Each limousine and party bus in Harbor City is chauffeured by professionally trained drivers, who strive to eliminate even the smallest difficulty or discomfort of travel for our customers. Our multilingual limo chauffeurs are also available, upon request, to cater to foreign customers. This makes our limos in Harbor City unique in their service. Our limo rentals in Harbor City go all over Southern California and we have everyone, from dignitaries to movie stars, business travelers to globe trotters, as our clients. The secret of our success is in our excellent service and our beautiful fleet of cars. We have almost all kinds of limousines in different capacities to accommodate all kinds of celebrations and occasions, serving various private and group activities. Which harbor city Limo is Right For You?